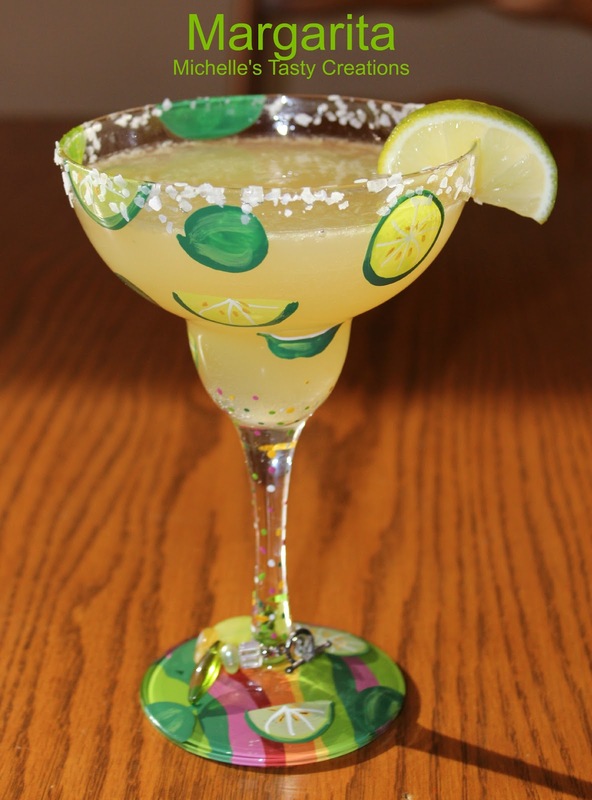 My friend Robin is a Pampered Chef consultant and is always giving me wonderful recipes to try, so when she made us these Margaritas for one of my home shows I was very happy to find out just how simple they were to make. I adapted the recipe to make it my own but the original came from Robin. You can see her webpage here to order any of the spices I use in my recipes or even if you just want to check out the new catalog. Mix all liquid ingredients in a pitcher and stir well. After stirring, pour the salt onto a small plate and set aside. Using a piece of the lime, gently squeeze it as you rub in around the whole glass. Tip the glass over and press into the salt to evenly coat the whole glass. Fill the glass with the Margarita and bottoms up! YUM!